A password manager can remember those difficult and peculiar passwords for you. But how to choose the best one? How to choose the best password manager? In this digital world, password is the key to identification and access. User privacy, financial interests and many other stuffs related with passwords. So safeguarding the password is very very important. Password manager software is a tool that helps to create, store and manage passwords. While a good number of competitor password managers available in the market, it’s really critical to find the best one. But don’t worry, I’m here with the right approach. To find the best password manager, you simply need to check whether the software has the following features and benefits. This point will cover most of the core necessities. Check whether the app suggests strong passwords for you. While signing up to a website, a good password manager should prompt to assist you and after registration it should save the login information automatically. For example, I want to mention ‘PassPack‘, an excellent password manager that enables one click login to stored websites. That means, the tool uses its browser extension to save your online credentials and recalls them when you visit the site. Once your login page arrives, PassPack prompts to use the stored information. Easy! An efficient password manager software should have versions for multiple platforms. It needs to be available for all major operating systems and device form factors to ensure the utmost flexibility. 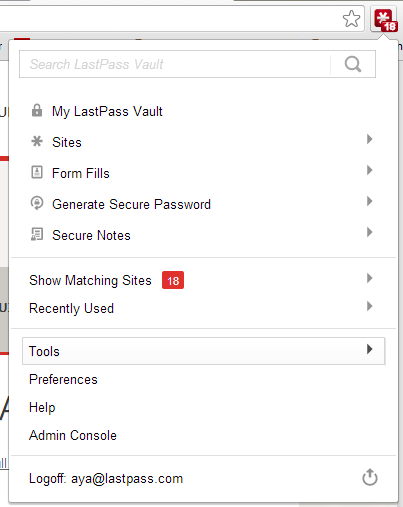 Among other tools, LastPass can be a great example of multi-platform password manager. LastPass has software and browser extensions for almost all major operating systems and browsers. You can use LastPass app on Microsoft Windows (PC/WP Smartphones), Apple Mac OS X & iOS (Phone/iPad), Linux OS, Google Android etc. The service also can be used from internet browsers. Portable version of LastPass can be carried in USB stick to use anywhere at anytime. Synchronization, popularly known (in short form) as ‘sync’ is an important feature that should be included in a good password manager software. Users have more than one device from where they log in to online services. Suppose, you use Facebook from your mobile, computer and tablet device. So if the password saved in a single device only, that will make you remembering and entering the Facebook login details from the remaining devices (where the password manager is not installed). So, to avoid this pain, you must consider this issue prior. The tool should also take care about offline services. DataVault is a good password manager that offers synchronization feature among the device. PassPack and LastPass also include sync. Password manager itself works with valuable information and their security. Can the software protect itself from breach? It’s a big question. To answer it positively, the app should have a master password that will be required to use the password manager. Two-factor authentication will boost security to a great extent. This feature will require to enter a verification code after master password. The Two-factor verification code may be sent to the user via mobile SMS/Email. This codes can also be generated using mobile app. Team Password Manager is one of the professional security tools that provides two factor authentication for password management. A better password manager should provide the ease of importing login credentials from other apps. This will help the user to import the usernames/passwords that were saved with alternative ones. Switching between password managers may be needed for official or other reasons. LastPass provides import password feature which supports several sites and methods for importing previously stored credentials. Monitoring the usage of your login credentials can play an important role to better manage your online life. This feature will create a log for every sign-in using the software. So you can keep a track when and from which device you have accessed a specific service. It should also keep the IP address in its ledger. Password Manager Pro does monitoring and controlling in a well organized way. The service uses complex procedure and infrastructure to make password management easier. It features password notifications to alert the user group about a modification or expiration. Password Manager Pro also sports audit tools for providing a better trace on the database. A backup and restore option will serve in needs. After restoring the device operating system or getting a new OS installation on your PC, you will be able to get the data in quickest time by restoring backup. A portable version of the app will enable you to carry all your login credentials in a pen drive and use it anywhere. Since you have master password and 2-factor verification, everything will play safe. LastPass, PassPack, Password Manager Pro and most other password management tools have backup and restore option. I hope the above points will help to choose the best password manager. Please leave a comment if you got more stuffs to add here. Thank you. Stay safe! How to Get Started with a New Android Phone?